Suppose you want to become educated about pregnancy and childbirth. Whom do you ask to teach you? To answer this question, I want to offer a parallel example to explore who can and cannot teach you accurate information. 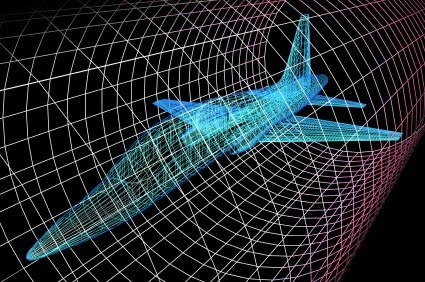 Suppose you want to become educated on the topic of aerodynamics. Whom do you ask? You don’t ask the passengers. Even if they’ve flown many times, even if they can tell you lots of stories about good and bad flights and even if they’ve been involved in a complicated air disaster, they are not qualified to teach anyone about aerodynamics. That’s because you don’t need to know anything about aerodynamics to be a passenger. You just have to board the plane and sit in your seat. Similarly, if you want to become educated about childbirth, you DON’T ask other lay people. It doesn’t matter how many babies they’ve had; it doesn’t matter what their pregnancy experiences have been; and it doesn’t even matter if they’ve read lots and lots of books about pregnancy and childbirth. You don’t need to know anything about childbirth to have a baby. Therefore, lay people, even if they are “birth junkies” like Rixa Freeze are completely UNQUALIFIED to teach anyone anything about childbirth. You don’t ask the stewardess. Sure she works for the airline and she is a airplane “professional.” She may even have learned some basics about airplane flight during her stewardess training. However, her primary role is to keep the passengers comfortable. She does not know how to fly the plane in an emergency and she cannot give advice to pilots about how to handle even routine tasks involved in flying. Similarly, if you want to become educated about childbirth, you DON’T ask a doula. She may consider herself a professional, but her primary role is to keep laboring women comfortable. She doesn’t know how to deliver a baby, or how to diagnose a childbirth emergency. She also doesn’t know how to prevent childbirth emergencies. She may have learned a few basic about childbirth during the very short course that she took to become certified but she is as UNQUALIFIED to offer advice on childbirth as the stewardess is to offer advice on aerodynamics. You don’t ask the mechanic. He or she may know all about the way that the moving parts of the plane work, and how to tune them appropriately, but the mechanic does not learn much about aerodynamics as part of his training and certainly not enough to teach the topic to someone else. Similarly, if you want to become educated about childbirth, you DON’T ask a childbirth educator. She may know the procedures and options in her hospital, but that doesn’t mean that she understands how they work, when they are appropriate and who should choose or refuse them. Indeed, to be a childbirth educator, she doesn’t really need to know much about childbirth at all so she is UNQUALIFIED to educate anyone else. You don’t ask someone who flies model airplanes. It’s far easier to fly a model airplane than a real airplane. Moreover, people who fly model airplanes don’t need any special qualifications to do so. They just buy a model airplane and learn by practicing. Similarly, if you want to be educated about childbirth, you DON’T ask a lay midwife such as a certified professional midwife (CPM). These women are hobbyists. They deliver babies because they enjoy the thrill. They couldn’t be bothered to get a university degree in midwifery, so they opted for the hobbyist’s post high school certificate. During their “training” they learn nothing about the prevention, diagnosis or management of childbirth complications. Moreover, they lack basic knowledge of obstetrics, medicine, science or statistics. They are thoroughly UNQUALIFIED to teach any about childbirth because they know very little about it themselves. The bottom line is that you cannot consider yourself “educated” about childbirth unless you were taught by a doctor or a certified nurse midwife (as well as some labor and delivery nurses). No one else is even remotely qualified to teach the subject. Laypeople, doulas, childbirth educators and lay midwives such as CPMs don’t know enough about childbirth to educate anyone. Claiming to be “educated” about childbirth because you read their books or websites is like claiming to be “educated” about aerodynamics because you talked to a stewardess or airplane mechanic. It’s simply absurd. ← Dr. Amy is mean to me! They are now referred to as Flight Attendants, not stewardesses. Their primary job is passenger safety. In day-to-day life this is evident usually as crowd control. Their secondary job is passenger comfort.